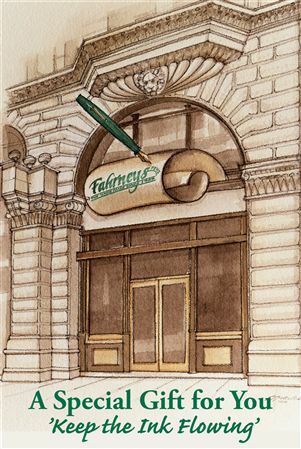 Order your Fahrneys Exclusive E Gift Card today from FahrneysPens.com. Fine Pens, Refills & Luxurious Gifts – great prices & fast shipping. The perfect gift solution when you're not sure what to choose, a Fahrney's Pens E-Gift Card makes giving easy and convenient. It can be redeemed online, while ordering by phone, and in store. Simply type the amount you would like to give and add to cart.